Find Houses to rent in Long Bien Hanoi | Long Bien housing | Hanoi Real Estate. 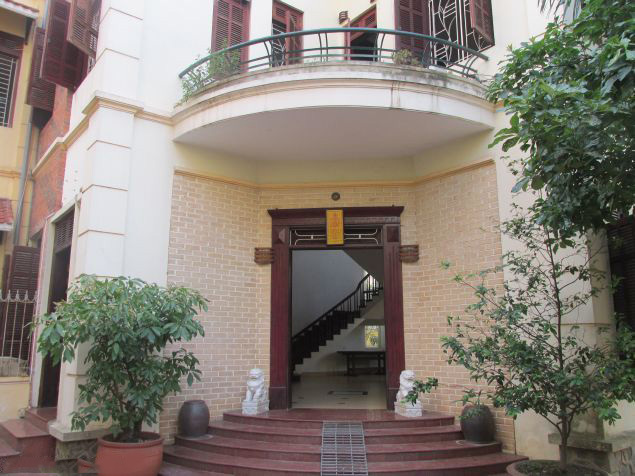 Beautiful house for rent in Ngoc Thuy, Long Bien, Ha Noi, situates in a quiet and good security area, closed to shops, markets, supermarkets, schools, café, restaurants, etc… The Villa is next to Long Bien and Chuong Duong Bridge, 10 minnutes of driving to Hanoi City Centre. The total land area of the villa is 300 square metters, construction area is 130 square metters with 3.5 stories. It was built in the France architecture style, covered by wooden floor, semi furnished. It has 04 bedrooms, 04 bathrooms, a spacious living room, modern kitchen combined with dining area and a big courtyard. The villa is full of natural light and very airy. House for rent in Long Bien district. Address: Ngoc Thuy street, Long Bien district, Ha Noi. The land area is 135 square metter, 5 floors. Designed with 4 bedrooms plus 4 bathrooms. It is equipped partial furniture. Amenities: air conditioners, internet connection, phone connection, cable television. High population. Close to hotel, banks, shops, cafe, restaurant, supermarket. Spacious house for rent in Long Bien Dist, Hanoi, on Nguyen Son Rd, Long Bien dist, closed to shops, café, restaurants, schools, hospital, etc… Nearby BigC Long Bien, 5mins to Chuong Duong bridge, 10mins to Old Quarter. Convenient traffic. Construction area is 110msq with 3.5 floors. It has a courtyard can be used as a garden and garage. The house is fully furnished with wooden Vietnamese tradition style and full of natural light. The house has 04 bedrooms, 03 bathrooms with toilet amenities, 01 living room, modern kitchen, balcony and rooftop.